Henault & Sysko, Chartered has been serving Anne Arundel, Baltimore, Baltimore City, Prince Georges, Howard, Montgomery, Harford, Kent, and Queen Annes Counties for over thirty years. Our experienced attorneys have a combined over seventy-years of legal practice and experience. We represent clients in several areas of the law, but try to focus our practice on the following categories: - Business Law (Transactions, Litigation, Small and Medium Business Representation (including Facility Security Clearances)) - Probate Law (Estate Representation and Litigation) - Administrative Law (Security Clearance Law, Suitability) - Contract Law (Creation, Review, and Litigation) - Criminal Law - Real Estate Law Please feel free to leave us an inquiry or call us for a free consultation! 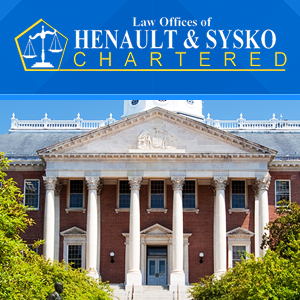 Henault & Sysko, Chartered represents individuals and businesses in creating, changing, winding down businesses, and general business representation needs. We also support our clients in both large and small business litigation. For over thirty-years, Henault & Sysko, Chartered has been representing clients in over ten Maryland and D.C. jurisdictions in all business matters. We have the experience and expertise to be able to analyze your situation and help you decide the right path, no matter what the potential issue. We are here to help with several decades of combined legal experience to support and business transactional, litigation, or other business needs. Henault & Sysko, Chartered knows and respects that planning for your future is of the utmost importance. At Henault & Sysko, Chartered, we work with out clients to create Estate Plans that are best for their personal situations. We are sure to explore all the client's information and data to provide the best possible results for our clients. In the end, all we can ask is that you are satisfied with the product we have helped you create to protect your hard earned assets for those whom you wish to leave them to. Henault & Sysko, Chartered excels in probate matters, ensuring the best possible outcome for the beneficiaries. Henault & Sysko, Chartered works hard to represent the Estate, through the Personal Representative or Executor to efficiently and expeditiously resolve all Estate matters and provide those assets that the heirs and other beneficiaries are entitled to. We work diligently with all parties involved on behalf of the Estate to provide unique resolutions. However, we also understand that the Personal Representative and Executor may not always be the most judicious individual and that they need to be kept in check. We look forward to all opportunities to make sure your loved ones wishes are followed. At Henault & Sysko, Chartered we adhere to the firm belief that client-centered lawyering is the key to a happy client and successful representation. In addition to providing fantastic legal representation, we want to make sure our clients remain informed and comfortable in every step of the process. Because of that, we remain in constant communication and do our best to respond to a client inquiry as soon as possible, but no longer than 12 business hours. Further, we inform our clients of their options at every step of the process and provide unique insight into how the decisions made during representation can affect other parts of our client's lives. Our firm focuses on client-centered lawyering. We are not concerned with the fees from any given case, but more concerned with how we can help the community as a whole. Maryland has recently provided for more specific contractual agreements between lawyer and client, and with that in mind, we would love to help you with any single specific issue of a case (as little as a consultation for information) or the whole case! Please feel free to contact us at your convenience. Henault & Sysko, Chartered expects the utmost from our Attorneys. Not only do we want to provide excellent legal services, but we want to give back to the community. Some of our Attorneys work with Wills for Heroes, which provides Trust & Estate documents for first responders in our communities. Further, we take on pro-bono cases on a case-by-case basis, as time allows us to do so. We also participate in the community through charitable contributions and outings. At Henault & Sysko, Chartered, we understand how expensive legal representation can be. We make every attempt to be reasonable in our fees that we offer to clients, but at the end of the day, some individuals simply cannot afford it or just prefer to do it on their own! During our free consultations, we offer clients a realm of representation options and let them know our "game plan" moving forward during representation. If an individual, for any reason, does not want to pursue representation, we are happy to give them a brief road map in attempt to help them succeed! 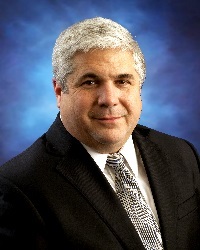 Troy Nussbaum is the Managing Partner of Henault & Sysko, Chartered. 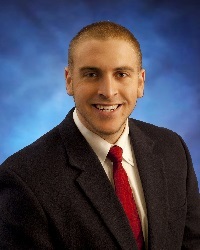 Mr. Nussbaum has been with the firm for about six years and works diligently representing clients in Probate, Trusts & Estates, Business Law, Administrative Law (Security Clearance Law), General Litigation, and Employment Law (Suitability). 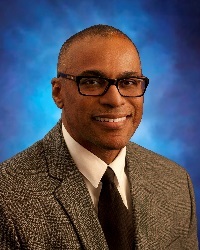 Emile Henault, III is the Senior Partner at Henault & Sysko, Chartered. Mr. Henault has been with the firm for over twenty years and supports our clients in Real Estate and General Practice matters. How Does Adoption Change Your Rights To Your Biological Parents Estate?